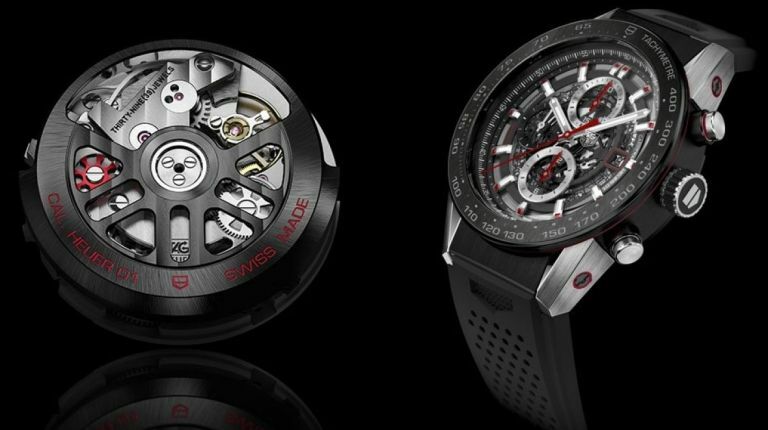 Tag Heuer has been teasing its smartwatch for months now, but finally the device has a name. CEO Jean-Claude Biver revealed that the timepiece will be called the Tag Heuer Carrera Wearable 01. Catchy! He also revealed it would be based on the Tag Heuer Carrera – Heuer 01 (pictured), which made its debut at a demented press conference at Baselworld in March. But the 'Wearable' moniker seems a bit odd. Surely all watches are wearable. Biver said the smartwatch will have all the hallmarks of a Tag timepiece. "There is no other choice for Tag Heuer than to have all its DNA, all its watchmaking emotion and flair into the connected watch," he said. "Somehow, one should not see from a certain distance the difference between a Carrera Heuer 01 and a Carrera Wearable 01." The device will run Android Wear and be powered by Intel. According to a Tag spokesperson, the idea is to upgrade the device over time, so it's not out of date six months after you buy it. Or as they put it: "We want to change the technology but keep the watch elements." We'll be interested to see how that works. Tag previously revealed the Carrera Wearable 01 will cost about $1,400, which translates to £900. That's more than most smartwatches, but not as eye-watering as the priciest models of Apple Watch. It's slated for release in November, and should have a 40-hour battery life. Taking Apple on is a big challenge, but one that watch firms have to face now that the Cupertino company has parked its tanks on their lawn. If anyone can do it, it's Tag, according to one watch expert. We predict a big battle for those high-end wrists come Christmas. Jean Claude Biver was speaking to Wareable.com.